One of our favorite cannabis brands here in Colorado is the Colorado Cannabis Co. (CCC), known for their niche lifestyle brand of CO2 extracted cannabis products that come in varying ratios of THC & CBD that are scientifically focused and medicinally based. 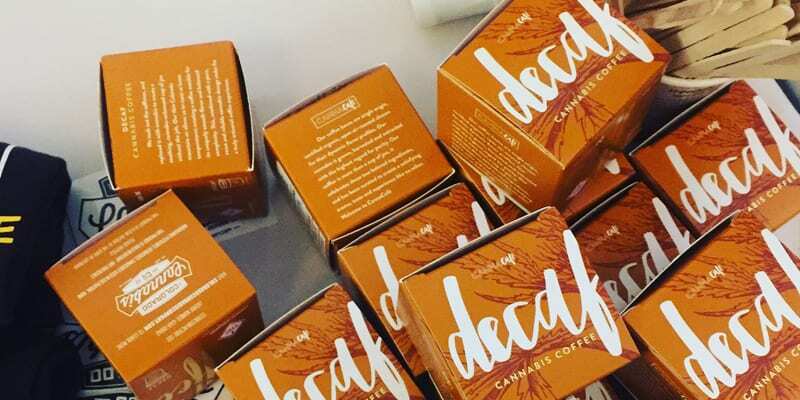 In the last few months, they have been slowly developing and releasing new product lines to take their brand to the next level including their CannaCare line of patches and CannaCafe line of K cups. To celebrate the launch of these new lines, CCC hosted a fabulous party at the Space Gallery in the Sante Fe Art District. The City Sessions crew came down to show their love and see what this new brand is all about! If you haven’t been to the Space Gallery, it is big beautiful open space with a lofted section and houses sculptures, ceramics, paintings, and prints. Goldie and I had been here before for the <<ISES Green Rush Event>> that Goldie was a keynote speaker at. Colorado Cannabis Co., with the help of Mason Jar Events, transformed the gallery into a warm and inviting space with stations around the room for the different products that were launched and tables in the middle with little treats to munch on. Goldie hit up the distillate and terp dab bar first to kick off the night on a high note, Matthew mingled it up with the crowd, and I went the desert first route and enjoyed a delicious Bubba Kush joint by the fire and s’mores bar. With a nice social high starting to settle into the crowd and a bit of the munchies, we dipped into some of the delicious snacks including savory meatballs and lavender macaroons. The Keurigs lined up on the far booth caught our eye so we grabbed cups and chose between their 10mg THC cup or their 20mg CBD cup. I went with the CBD to balance out all the THC that I would be consuming and it was delicious! The next station was a masseuse with the Pain Relieving Salve and the CannaCare Patches to sooth any aches or pains. Their 4 lines had different ratios of THC and CBD, as well as other herbs including arnica to help achieve desired effects. After that was a station with some old favorites, the 1:1 Pure Olive Oil and 1:1 Pure Honey, which was great to infuse the hors-d’oeuvres or to add a boost to the cups of coffee. The dab bar was fantastic! While in line, a vape pen with delicious blueberry notes was handed to us. Once we got up to the bar, they had a couple eRigs set up and were dipping the tips of their glass CO2 oil syringes in terpenes before dabbing us up. The taste was fantastic and clean, and the high was clear and strong. 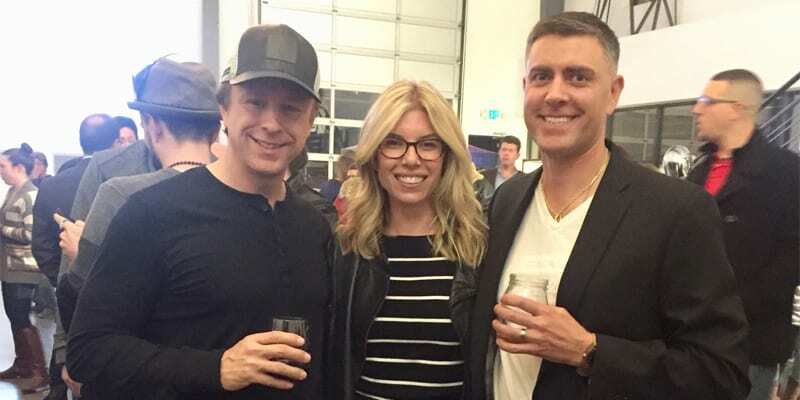 Frank and Ethan, the owners and developers of Colorado Cannabis Co., shared a few words about the new launch and the progress they have made over the last 8 or 9 years and the excitement they have for its future. It was amazing to see them really owning their space and developing a brand organically into what it has become today. It is one of the many reasons that Colorado Cannabis Co. and PURE have both earned the City Sessions Seal of Approval year after year! Thanks again to the team at Colorado Cannabis Co. and PURE for inviting us and hosting a great party!